This January sees the London Model Engineering Exhibition at Alexandra Palace. With over a thousand models on display, lectures and some of the finest quality model engineering displays in the country, it promises to be another top weekend. The event will be well worth paying a visit if you’re in and around the south east and are interested in model engineering. We will be exhibiting with a large stand, bringing along the majority of our lathes and milling machines, as well as bandsaws, grinders, polishers and sheet metal tools. We will also have a huge range of smaller engineering tools. We will be bringing along virtually our entire range of metalworking tools, including just about any tool for a lathe or mill you could need – it will all be there at special show only prices. We will also have many brand new product lines on display for sale at the same time. Dates are 16th to 18th January 2015. Keep up to date with Warco exhibitions here. We’re currently gearing up for the largest Model Engineering show of this time of year over in the Midlands. This year’s show is particularly exciting for us as we’re bringing along more small tooling than ever before, and introducing more new products at any one show that we can remember. We’ve been busy over the summer expanding our range of rotary tables, introducing new polishers and grinders, along with our new GH550 lathe and more, there will be plenty to see on our stand at the show. Best of all, we’ve got special show only prices on just about everything, so if you pay us a visit there’s a good chance of finding a good deal. The show runs from Thursday 16th October to Sunday 19th October 2014. It’s open from 10.00am – 5.00pm daily (closing at 4:00pm on the Sunday. You can read more about the show and book tickets here. Hopefully we’ll catch up with many for you there! PS Next up the show calender is the Warco Open Day in November. You can keep up to date with that and other forthcoming shows here. We’re currently gearing up for our first Open Day of 2014. With more and a ton of new products coming out, the show will be a good chance to check out our products in the flesh and pick up tools at special show only prices. There will also be more second hand machinery and tools than ever. As ever, our entire range of new products will be on display in our showroom, with plenty of show only discounts for customers who make it us. There will be an entire barn full of second hand machinery and quality used tools on offer. The date is all set for 8th March 2014. Opening times 9am – 2pm. It was another great Model Engineering Exhibition in London at Alexandra Palace. 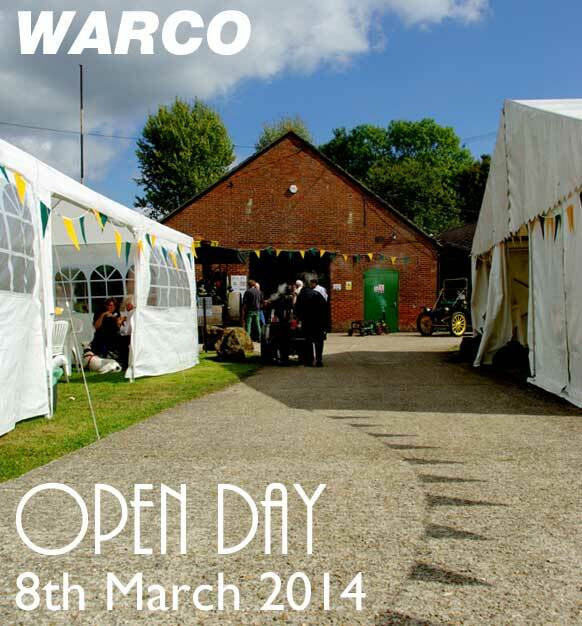 We’re already looking forward to the next show on the calender for us, the Warco Open Day in March 2014. The workshop of the Jason and Brian Rourke with a Warco lathe and milling machine appeared recently on a segment of the Channel 4 show Speed with Guy Martin, where Guy attempted new world record for the fastest speed recorded on a bicycle. A specially commissioned bike was needed for the task, so the producers of Guy Martin’s show called upon Jason Rourke to engineer a tailored bike with bespoke gearing to extract maximum power for the world record attempt. Based in Stoke on Trent, the Rourkes are some of the top cycle engineers in the country, having built made to measure frames for more than 4000 top cyclists worldwide. They’re passionate and skilled engineers, just like so many of our customers, we’re proud that they’ve come to rely on our machines. On the show, we saw part of the build process for the bike. The attempt was successful, with the bike reaching 112.94mph, an incredible feat which put them in the record books. You can find the Rourke bike shop online here brianrourke.co.uk.